Tropical Oasis. I wish. I really wish I was talking about this. But instead I am talking about this. 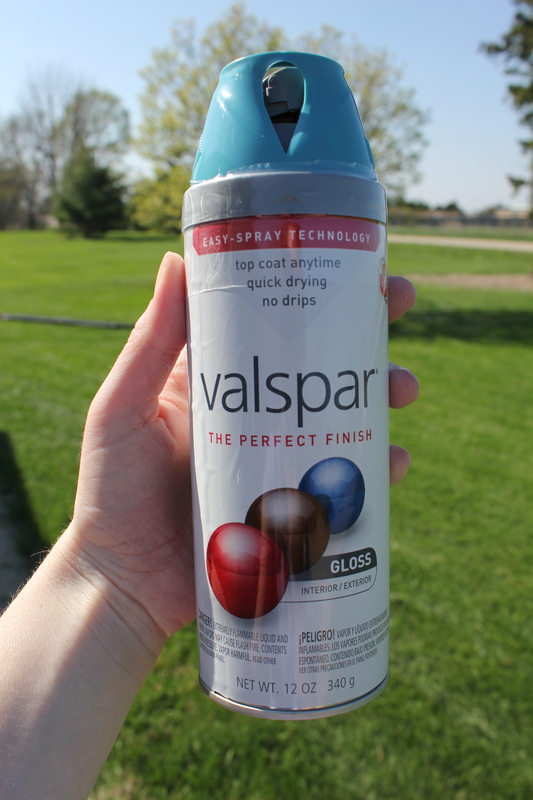 Valspar spray paint. And the name of this beauty of a color? You guessed it. Tropical Oasis. It is the closest thing I have gotten to a tropical oasis in too long. 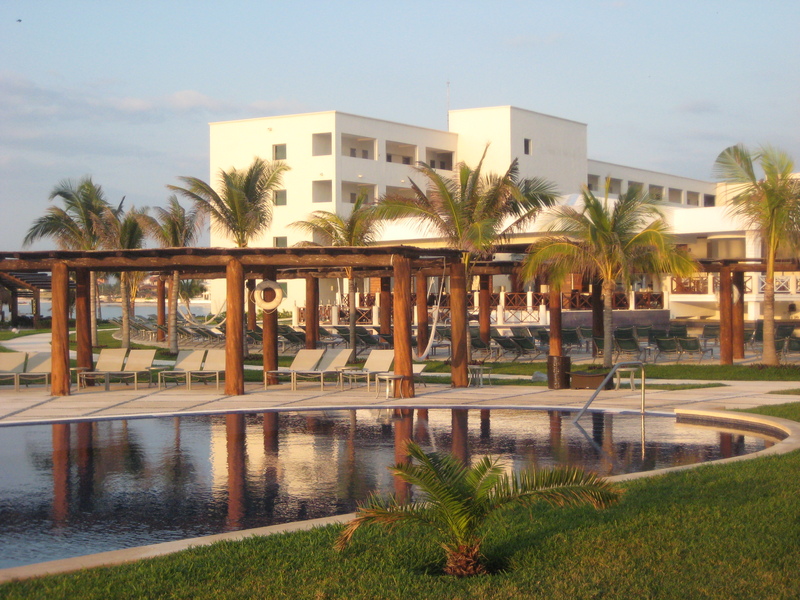 The photos above were taken on a vacation Beau and I took a few years ago to the Rivera Maya. It was lovely. It was tropical. 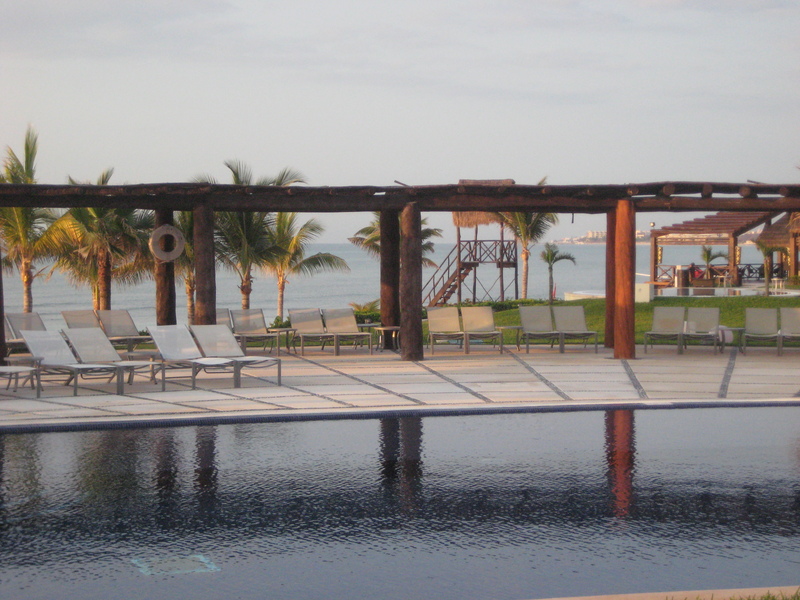 It was relaxing. It was oasis-y. It smelled better than this Tropical Oasis experience. Spray paint is potent stuff. 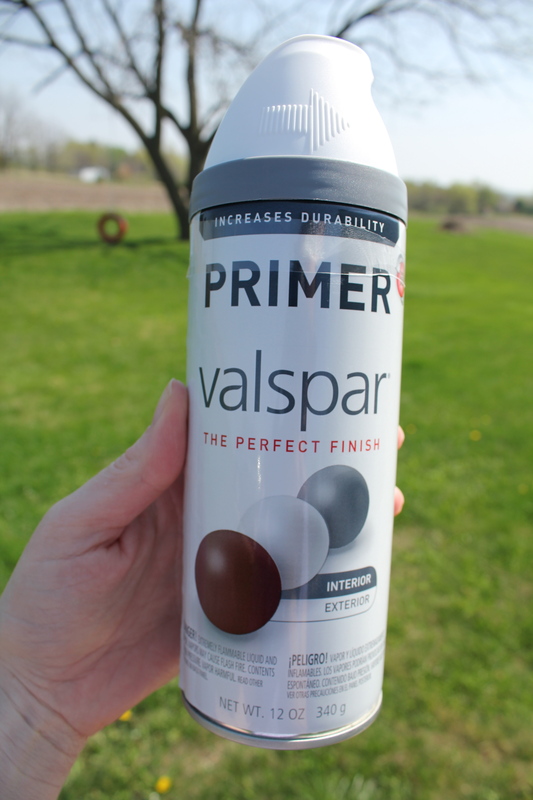 So is the primer I used. 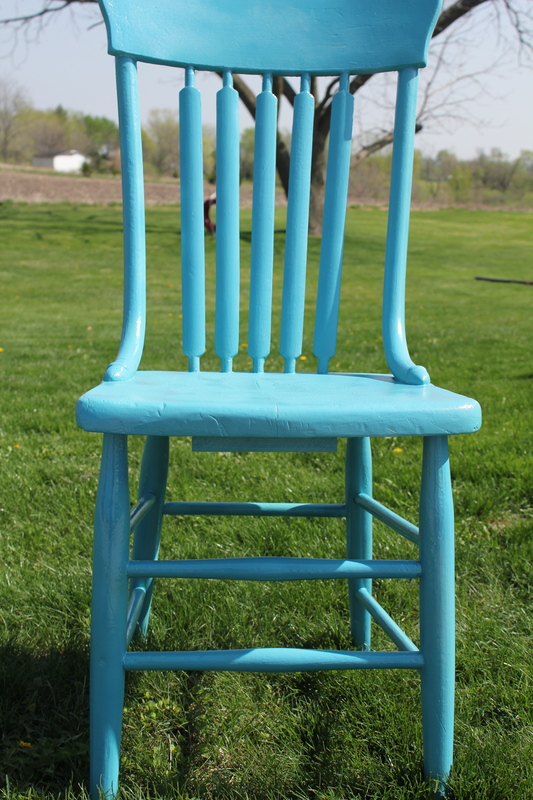 But I wanted to do something to spruce up this chair. 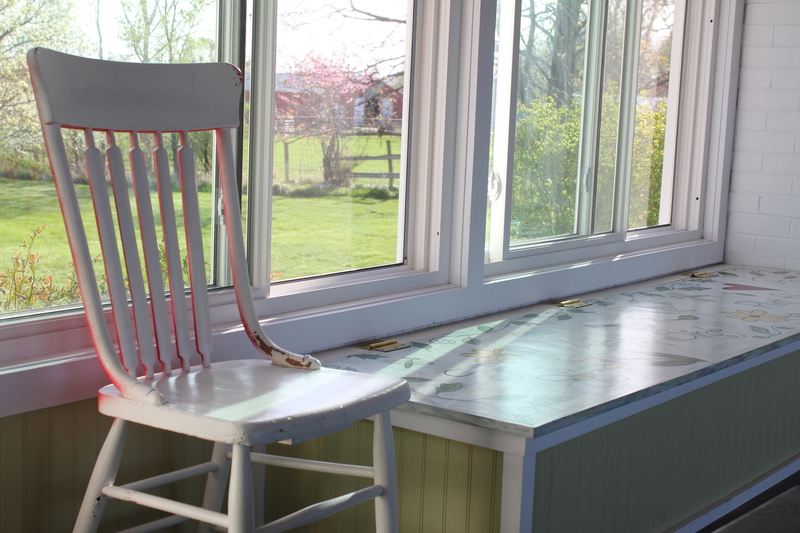 It was picked up at a flea market many, many moons ago and then painted white. As evidenced by this photo the chair got some heavy usage from Beaut.one, her booster seat and the joy of launched food. Then we moved and it languished in our basement until recently. 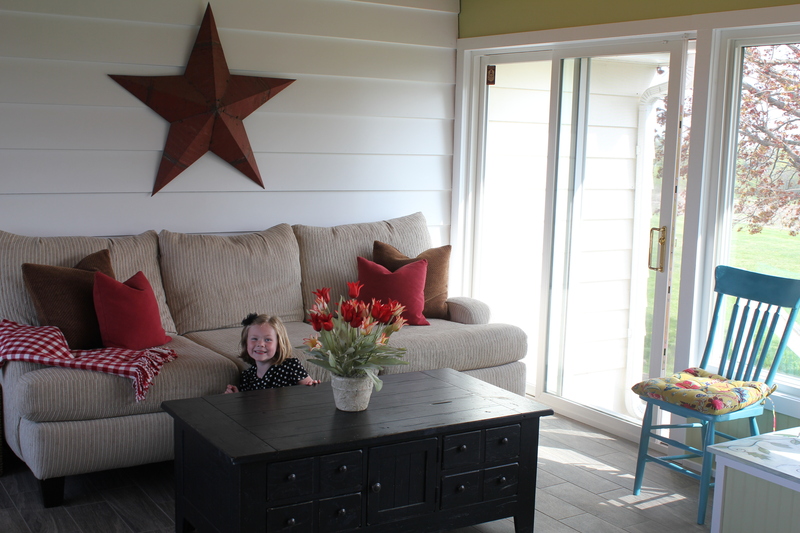 At the first hint of spring I get about the business of spring cleaning our sun room. 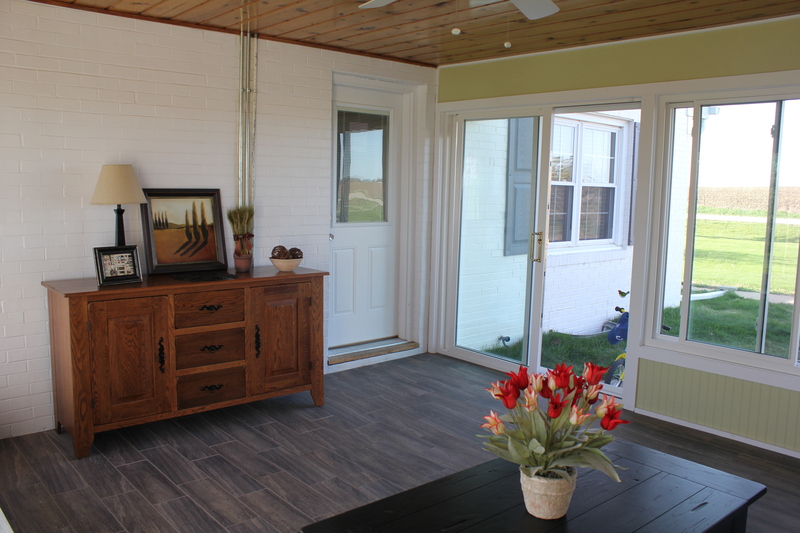 Because this hard-working room is between our garage and our main entry door it takes the brunt of all the dirt, grime, salt and sand that comes with an Iowa winter. And so as I was cleaning I was thinking. Thinking and cleaning. Cleaning and thinking. Thinking about what we can do to update this glorious room. We love it. We spend so much time out here napping and reading and napping some more. Currently, this room is full of mismatched furniture and accessories that came with us when we moved. It works…but not well. 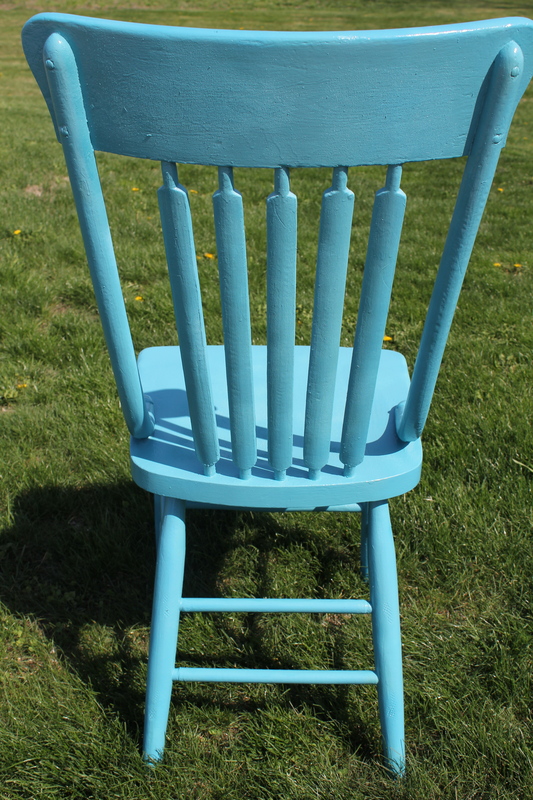 And so my time and budget stretched eyes focused on the sweet little flea market chair. And I think some of those cleaning fumes got into my brain because initially I thought it would be a good idea to paint that baby red. Bright red. You can see hints of it here. Literally radiating. I didn’t get far before I realized that wasn’t a super awesome idea. So I pulled out my can of primer and primed. No hint left of that red oops-y. And then I got my Tropical Oasis on. And while it isn’t a vacation by any stretch. It does make the little oasis in our home a bit more tropical. 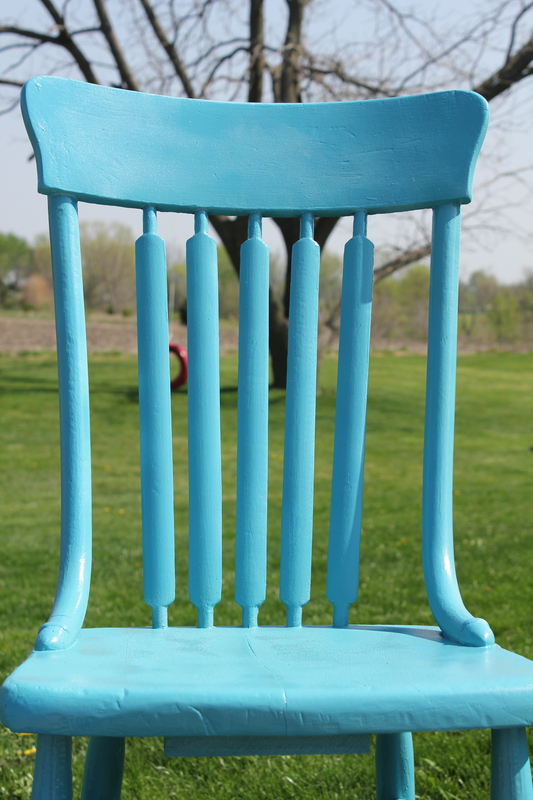 The paint has a gloss finish so it shows all the little imperfections of the chair. But if little imperfections bothered me I am pretty sure I wouldn’t get out of bed in the morning. 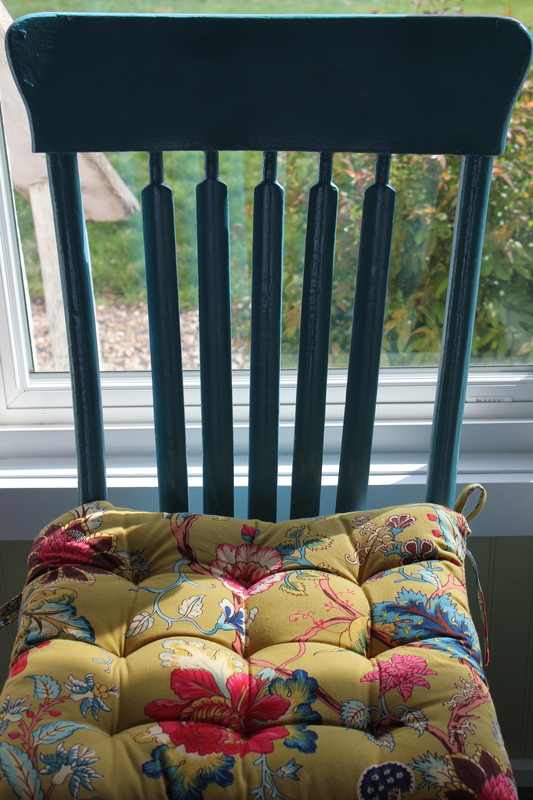 The chair loves its new look. And its new wardrobe. 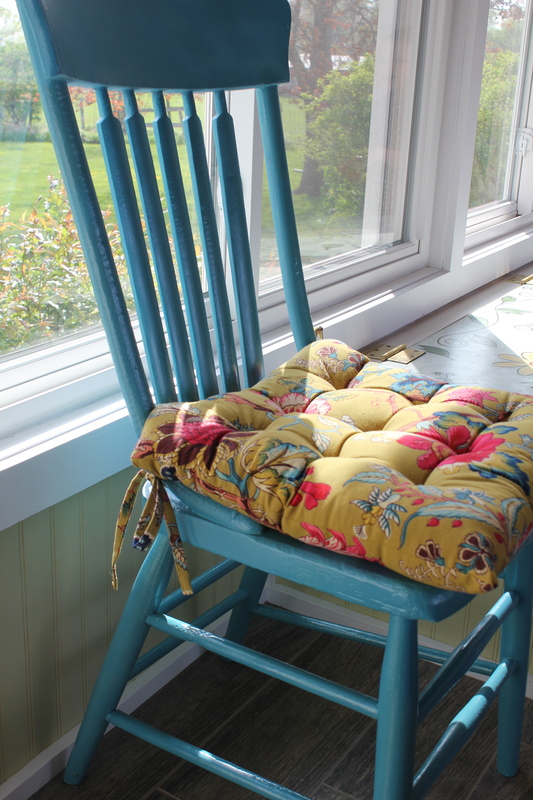 The fun, flower-filled chair pad is from World Market. 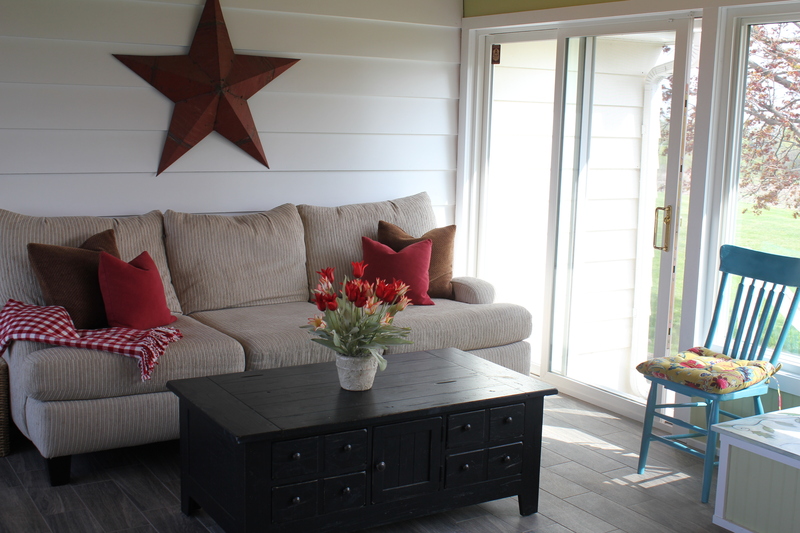 And I think it adds a lovely pop of color in this sun-drenched room. We left the chair outside for two full days so all the spray paint fumes could dissipate. 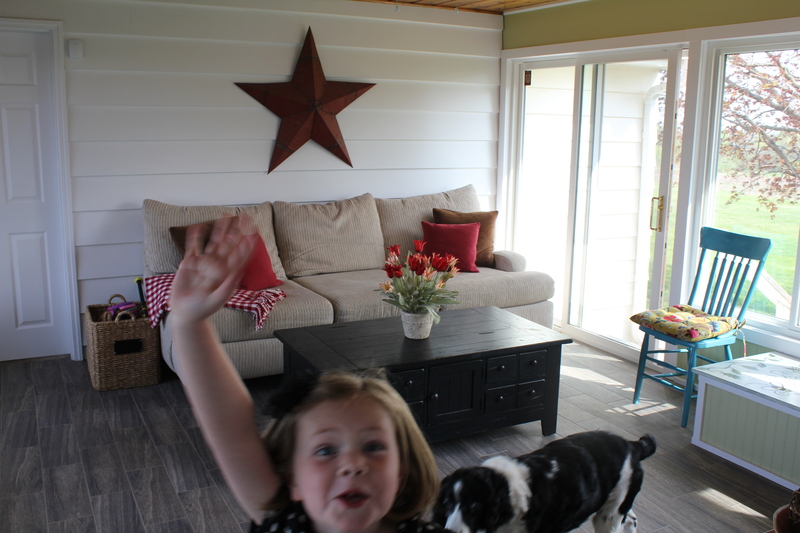 So when we finally brought it in, we had some very excited family members. And now all I can think about is two things: #1 Can I spray paint pillows? No?! I love the color of the chair so much. I’m officially on the hunt to find accessories that match. Or at least something else I can subject to the spray paint. 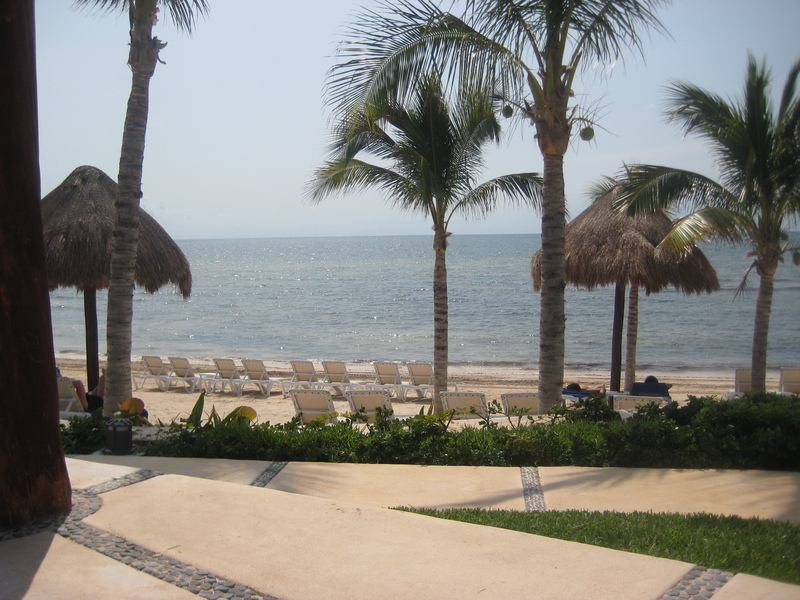 #2 When, oh when, am I going to go on a tropical getaway again? 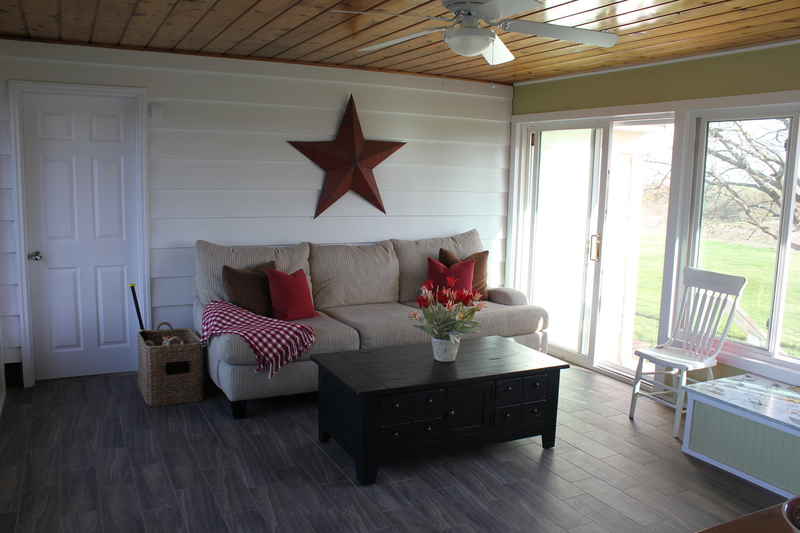 I’m off to dream up other sun room updates. And vacation plans. What have you spray painted lately? I will definitely have to go check it out. Thanks for letting me know. And thanks so much for reading. Your comments give me encouragement to keep writing. Have a lovely Easter! I LOVE spray paint. 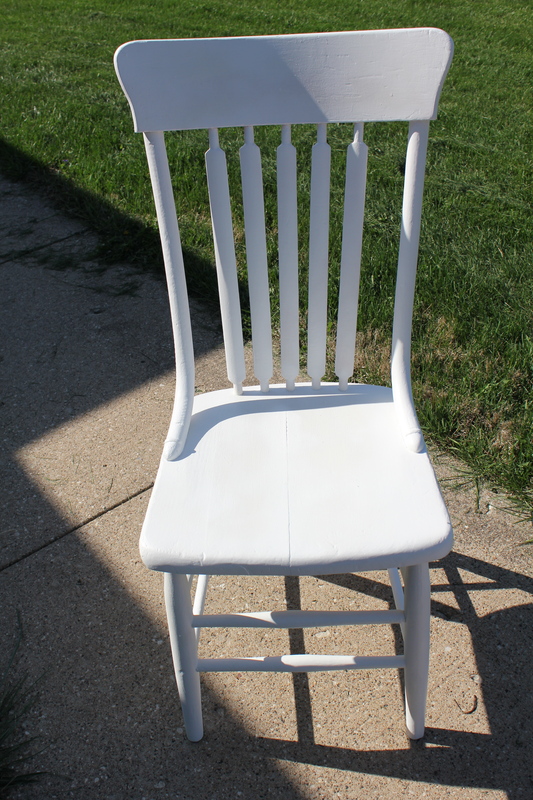 I’ve refinished quite a few chairs now on different projects and it’s amazing what a difference paint can make. My newest love is an electric paint sprayer. Now I can’t wait to refinish 2nd hand pieces :-). Nice work on your chair.